Becoming an expert on outdoor survival requires extensive research and multiple experiences in a variety of settings. Despite an individual's history, the idea of being an outdoor survival expert is mostly a matter of opinion and is not recognized as a profession by the Bureau of Labor Statistics. However, having a survivalist talent and a passion for nature can open the door to several different job opportunities. Additionally, retaining this knowledge could one day save a life. Considering an outdoor survivalist is not recognized as a job, there are no established qualifications. In spite of this, there are minimum guidelines an individual can follow to determine his level of expertise. 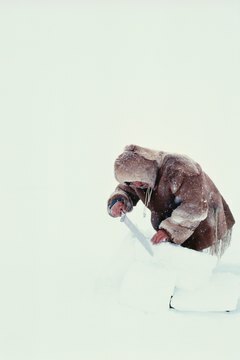 Survival Expert suggests a wealth of knowledge and extensive history of wilderness survival in a number of different environments is the most convincing factor. A skilled survivalist should be able to improvise with no equipment at all and should be able to successfully execute a survival plan, regardless of the limitations his current setting imposes. To be among the wisest of men in surviving the outdoors, an individual must be extremely flexible, agile and able to think outside the box. He will need to skillfully erect and painlessly sleep in a shelter; create and maintain a friction fire; and masterfully produce and set traps. An outdoor survival expert must have keen navigational talents and a general understanding of poisonous plants, wild edibles and medicinal plants. The Alderleaf Wilderness Certification Program is a nature and outdoor survival course that grants successful students a Certificate in Wilderness Education & Ecology. Students learn about wild plants and wildlife tracking, wilderness survival, sustainable living and outdoor leadership. The program includes a Cybertracker Track & Sign Evaluation that certifies qualified individuals as wildlife trackers. Further studies into a second year provide the option to enroll in a Wildlife Tracking Apprenticeship or take the Advanced Wilderness Skills Program. In addition to becoming a wildlife tracker, many opportunities exist in military settings for experts in outdoor survival. Since special forces units undergo intensive training in surviving harsh conditions, some experienced individuals are qualified as survival instructors. Teaching jobs exist outside the military as well -- often for adventurous groups preparing to go on vacation. Many individuals with advanced wilderness survival skills find positions as hiking or hunting guides, leading tourists and hobbyists to attractive destinations off the beaten path. Torrance, Megan. "Job Requirements for an Outdoor Survival Expert." 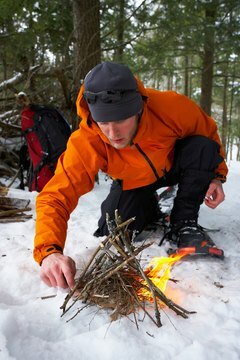 , https://careertrend.com/job-requirements-outdoor-survival-expert-30447.html. 27 December 2018.